Wellington’s rental accommodation shortage is real but experts are questioning claims about its uniqueness and severity. 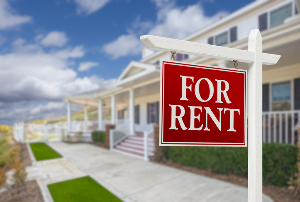 Landlords are taking advantage of the Capital’s rental supply shortage and exploiting tenants with exorbitant and unfair rent rises, according to current public perception. But, while there’s little doubt that the Wellington rental market is tight, experts are casting doubt on some of the claims being made. New data from Realestate.co.nz suggests that while there has been a decline in listings this year as compared to last year, the decline is not as dramatic as public opinion holds. According to the data, in January 2017 there were 353 professionally managed rental listings spread across Kapiti, Lower Hutt, Upper Hutt, Porirua and Central Wellington on Realestate.co.nz. In January 2018 there were 260 listings spread across the same areas on the website. Realestate.co.nz national property management specialist Vesna Wells says this represents a 27% drop in the number of listings. The data also shows that the average advertised rent across all regions was $518 per week over the month of January 2017. In January 2018 the average advertised rent over the month had gone up to an average list price of $542 per week. Wells says this accounts for an average list price increase of 5% on average, which appears, compared to previous years, a fairly typical increase. Traditionally, the Wellington rental market’s busiest time of year has always been January, February and March - largely due to student arrivals and tenant movement, she says. In contrast, higher priced, more executive style rental properties tend to take longer to rent as the market is not as extensive. Wells adds that good landlords and property managers have a good understanding of the market forces at work. For NZ Property Investors Federation executive officer Andrew King, the furore over the Wellington rental market this year seems a bit of a beat up. He agrees with Wells that the January to March period has always been the Capital market’s busy season. But he also says they have been warning that the rising costs of owning and maintaining a rental property are likely to lead to rent increases for some time. For this reason, the NZPIF would like to hear specific details when it comes to the allegations of excessive rent rises and unfair landlord behaviour in Wellington. King says most landlords are fair and professional in their approach to rent increases and that rent controls are not the answer.